Just in the last couple of weeks, several folks have put a serious smile on my face. My love language is definitely not gifts, but little acts of kindness make me feel so special. I've decided it's because when you send me a card or buy me a little tchotchke just because you thought it was "me," then you were obviously thinking of me, even though we weren't together. And clearly in a good way. 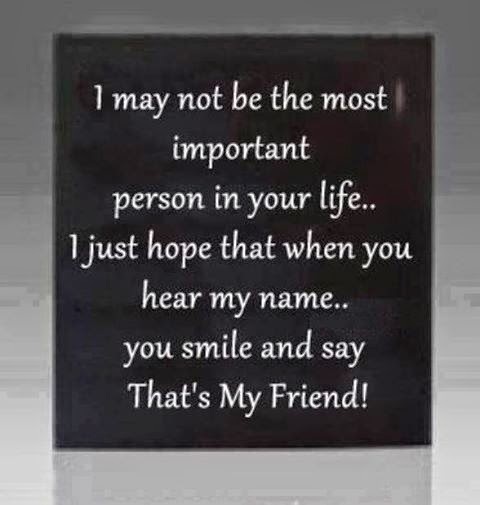 And that means I've left a positive impression on you and that also makes me feel good. I really try hard to leave people wishing they could spend more time with me . . . instead of being glad I left. It goes without saying that it's your mom's job to spoil you rotten, but my mom even one up's that. She literally makes me feel like I'm the most important person in the world to her. She is most definitely not just my mom, but my friend. She always does sweet things for me . . . little things that let me know I'm on her mind. This week I got a package in the mail from her . . . I loved the tag . . . and I knew I would love what she sent because she gets me! Yes, my middle name is Louise. Shut up. I love it because it's a family name! Seriously, if you know me, then you know I flipped my lid in excitement over these! 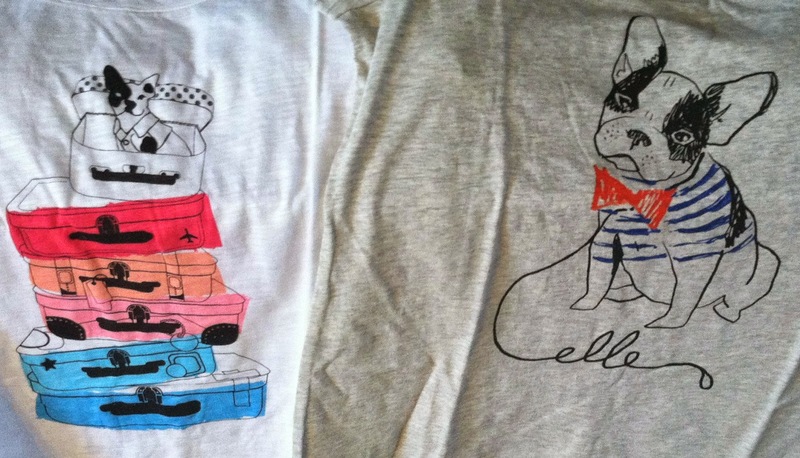 Two Petey inspired shirts . . . I die of love. Dogs are a way to my heart, especially Petey. Happy, happy! I love receiving mail . . . and handwritten cards to just say hi make me go all mushy. One of my most favorite people ever moved to New York a couple of years ago. I miss her so much . . . and it makes me sad how many miles are between us. The good news is when we chat, it's like she's still here. She recently sent me an "I'm just thinking about you" card, and it made my day. So very thoughtful . . . and funny! Virtual hugs to you Debbie . . . I know how huggy you are! I have a friend I met because our son's are best buds. I love her long time . . . she is so fun, and sweet, and southern and just cracks me up! Recently on two separate occasions she brought me a couple of gifts . . . for no good reason. Check them out . . . 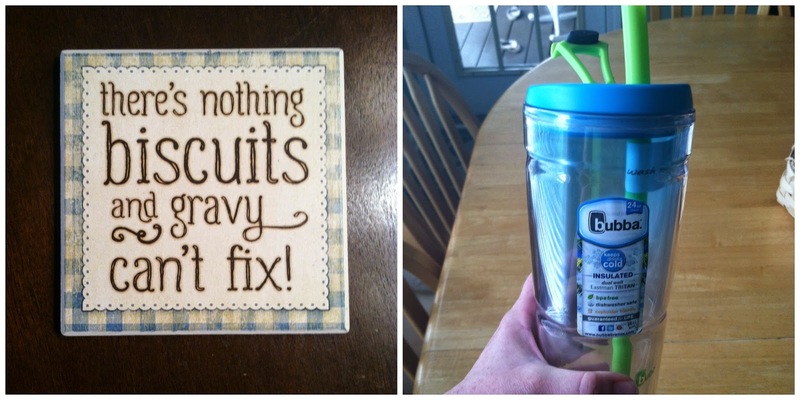 The fun coaster is because she too is a girl who loves her some biscuits and gravy. The Bubba cup is because she thought I would love it since she knows I'm a Tervis fan. Honestly, I totally do and have put the Tervis away for now . . . and I have to fight my kids for it! I love that she gets me! Michelle, you're awesome . . . duh. Bless your heart. Ok, last one . . . are you sick of hearing how spoiled I think I am? Honestly, it's less spoiled and more blessed. My sis-in-law asked me to find a 31 bag for a mutual friend of ours because apparently the state of Florida was sold out. I found the very bag she wanted and mailed it to the friend. Instead of just reimbursing me my cost, my friend sent me extra money, or Starbucks money, as she called it for my trouble . . . except it really wasn't any trouble at all . . . ok, maybe a little, but I was happy to do it! I don't think she gets how much I appreciated her very unnecessary thoughtfulness. She added in a handwritten card too . . . also made my day! So thank you Kathy! In the end, all of this is to say that it's the little things that make a person feel special. Each of the above folks probably had no idea the impact they had on me, but I want them to know what they did mattered and was very much appreciated. I have a goal . 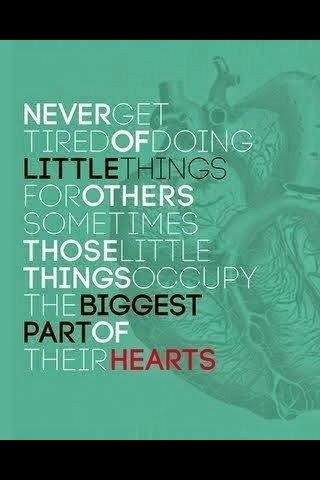 . . make the little things a priority . . . and others, friends and family. And to not feel like I don't deserve it . . . because apparently they think I do. 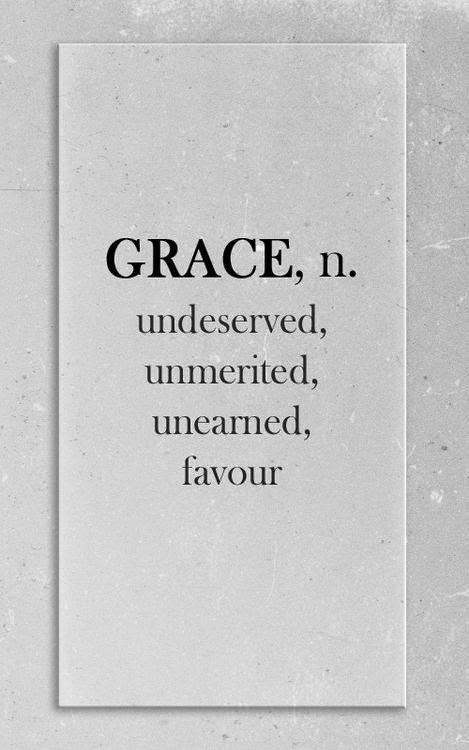 It is through their grace that I am made to feel special. So I thank them, one and all. Hello friends! I have a treat for you today! 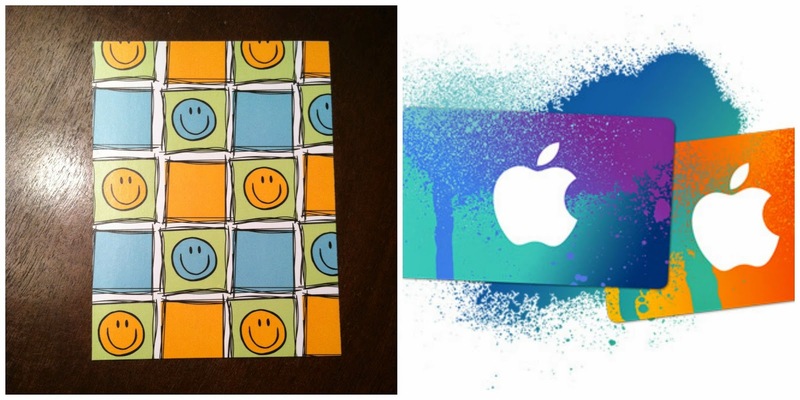 I have teamed up with some other fabulous bloggers for a Start of Summer Giveaway . 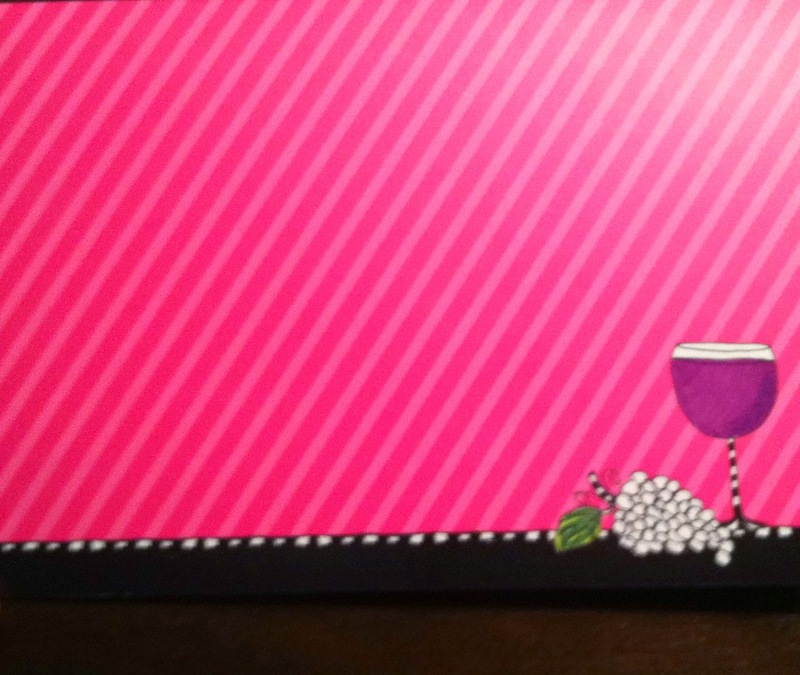 . . a $100 Victoria's Secret Gift Card! Who doesn't need some cute new stuff to show off their summer tan? Are you so freaking excited? Thought so! Go check out the following awesome ladies and show them some love! Alma @ Can I Borrow That? Entering to win is easy, peasy! The more love you show, the more entries you earn! The contest starts today and ends at midnight on Saturday, June 21st, the official start of summer . . . get it?!? The winner will be announced Monday! Good Luck! 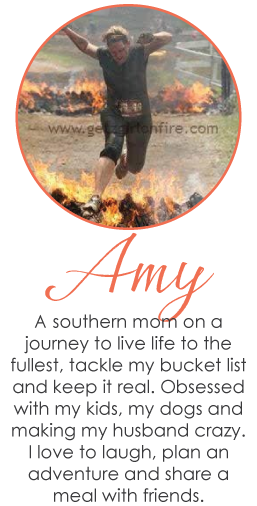 I cannot resist linking up with one of my favorite bloggers, Amy at The Crazy Wise Woman, for a little summertime fun! It's one of those finish the sentence ones where you add your own your answers! Here goes . . . The one thing I am most looking forward to this summer is not having to pack school lunches, worry about homework and drive carpool. Super exciting . . . I know. The most annoying person I know is geez, probably myself. I wish I could quiet the peanut gallery of uh huhs and yeps going on right now. I would like to meet my friends for drinks and dinner on several occasions this summer. I absolutely love being home with the kids, but mama needs to grown up time with her lady friends. And cocktails. After a long day, there is nothing better than sitting on my back deck with a cold beverage and a good book. Bonus points if Getzy or friends are sitting with me, and the kids are playing nicely outside! The most embarrassing summer work uniform I ever had to wear was . . . geez, I never had to wear a uniform. I did work part time at a day care and hated it. No uniform required. Then I hear my alarm clock go off, I immediately hit snooze for a least a round or two or three . . . never do I ever get up the first time. Then I get excited because it's coffee time! My favorite summer exercise is drinking by the lake on vacation. That should totally count. When the ice cream truck comes I always tell the kids that I can buy a whole box at the grocery store for what one costs on that truck. Or I tell them I don't have any cash. The oldest article of summer clothing I own is a batik sarong that I bought on my 1994 trip to Indonesia. I still think it's so cool . . . 20 years later. My favorite summer outdoor activity is a cookout with friends. Nothing better than plans with friends on a hot summer night! My favorite thing to grill is corn on the cob, sweet Vidalia onions filled with butter and beef bouillon and Getzy's bbq meats! The worst summer date/romance I had was . . . I can't think of one so that's a good thing, right? My favorite summer drink is . . . my beer punch. I don't make it too often because it's full of tasty calories. The recipe is HERE! There are times when I just wish summer was longer. Seriously, my kids go back to school August 4th . . . there is so much more stuff we want to do and so many more days we want to laze around. The best song on the radio right now is Wild Wild Love by Pitbull. Jimmy Buffet is a classic. Getzy and I went to one of his summer concerts back in the day . . . and wow. I just remember folks doing whippets in the parking lot and people being way to drunk. Not my scene. My best summer vacation ever was the year I graduated college and went to Indonesia for 4 weeks. It was a once in a lifetime experience. I think all Americans should have to visit a 3rd world country . . . it will sure make you appreciate your life here. The 4th of July is too hot and there are not enough fireworks. I could seriously watch those forever. After I'm done reading/commenting here, I'm going to The Crazy Wise Woman's page to link up and read other posts! It's not summer until school is out and the pool is open! Oh, and I've spent an entire paycheck on sunscreen! Tell me, what's going on with you this summer? Got any good summer cocktail recipes I need? We felled a tree . . . doesn't that sound so professional? Nothing like waking up to a relaxing Father's Day Sunday and then deciding it's time to take a tree down. A big one. We have been talking about it coming down for awhile now . . . it's too close to the house, the roots are pushing our retaining wall and it's created so much shade in our backyard that things are turning to mud. Yuck. Ryan is using it for a Family Life merit badge scout project . . . so it was the perfect day to put the kids to work! Normally I like to hide out inside for the fun family projects but since this one required sharp objects and ladders, I stayed for the fun. It was Father's Day after all. Long story short . . . we spent about 6 hours outside removing the limbs, cutting them up and then throwing them over our fence . . . the best part about living on a lot where they can't build behind you! So with the help of a neighbor, a chain and some rope, and lots of prayers, that big old maple landed just where it was supposed to when it came down. Here's my favorite picture of the day . . . gah, I love that guy! After a few moments in the air condition, we celebrated every one's hard work by meeting friends at the pool! We laughed, the kids played and everyone enjoyed a great end of the day celebrating dads! It goes without saying, I think my kids have one of the best dads around! He's very involved in all their activities and rarely has a night off to relax. He is loads of fun but means the business when it comes to raising them right! He's always there . . . guiding them, teaching them and letting them know how much he loves them. I couldn't ask for a better man to help raise our children. Here's to you Getzy! I love you more. It's official. I have lost my mind. Guess who agreed to meet a random stranger in a McDonald's parking lot near the Atlanta airport to rescue 7 puppies? Two thumbs facing me . . . this girl! Look at these babies . . .
My boys need at least 8 service hours unrelated to scouts for their Citizen in the Community merit badge. My logic was we should do something fun and for a cause we would all love, especially since mama has to take them . . . thus the idea of rescuing puppies! The kids wanted to go with me on the rescue ride . . . my head told me to keep all the puppies in the crate on the way home, but the kids had other plans. 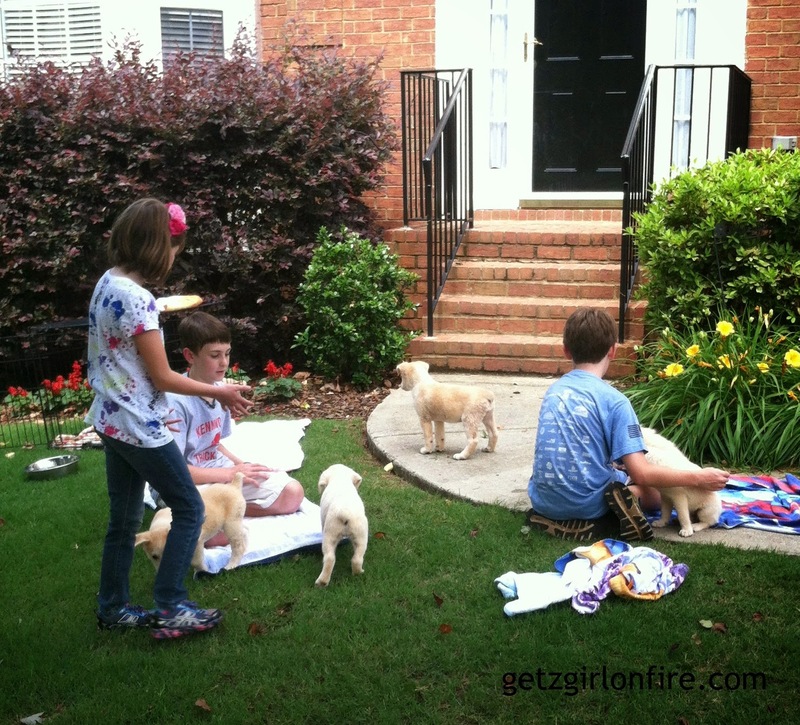 So I pulled off the road until puppies were distributed! 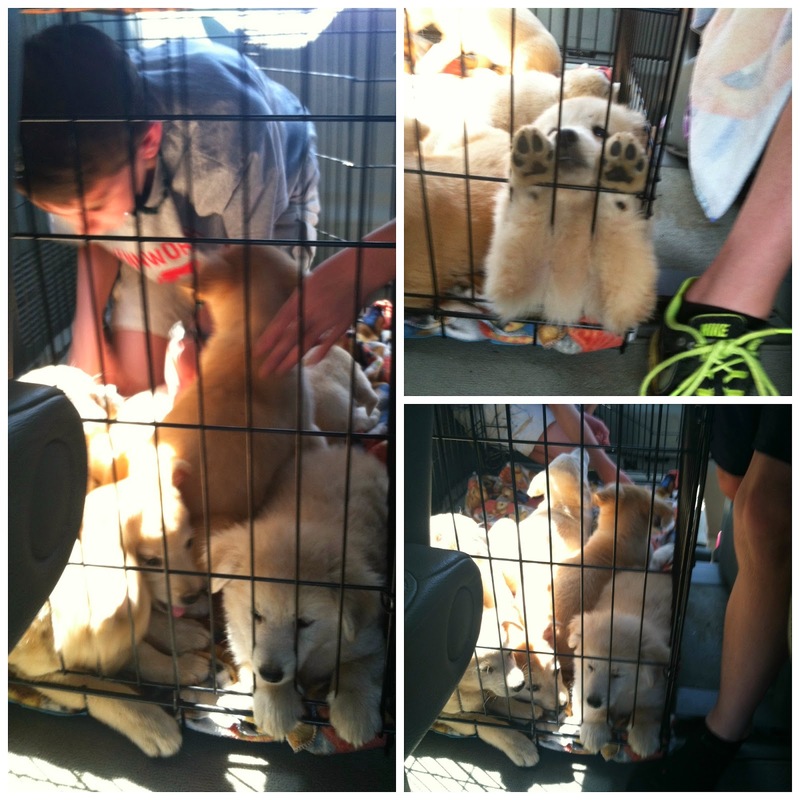 At least I didn't let any kids ride in the crate with the puppies! And while a few whined a little, the puppies . . . not the kids, the car ride was super easy. No carsick puppies! Originally the puppies were going to someone else's house . . . I was just transport. They looked like little baby Abby puppies so I wanted to take them home to show Getzy. Did he actually care or want to see them? Uh no, but I couldn't stop myself! Then I realize it's lunchtime, and my kids needed to eat something. Then I think, wouldn't it just be easier if I let the rescue lady do the washing here? Then I think it's a better idea for my kids to have access to the bathroom, snacks and neighborhood friends to help here. Then I realize I'm a control freak, and I don't want to be at someone else's house all day. So let the games begin, and the empty promises to Getzy that this won't take long and they'll all be gone soon! So we unload these cute little fur balls in the front yard and commence chasing and doing puppy head counts all day! The kids brought out every dog toy we had in the house, and these sweet babies went wild playing. 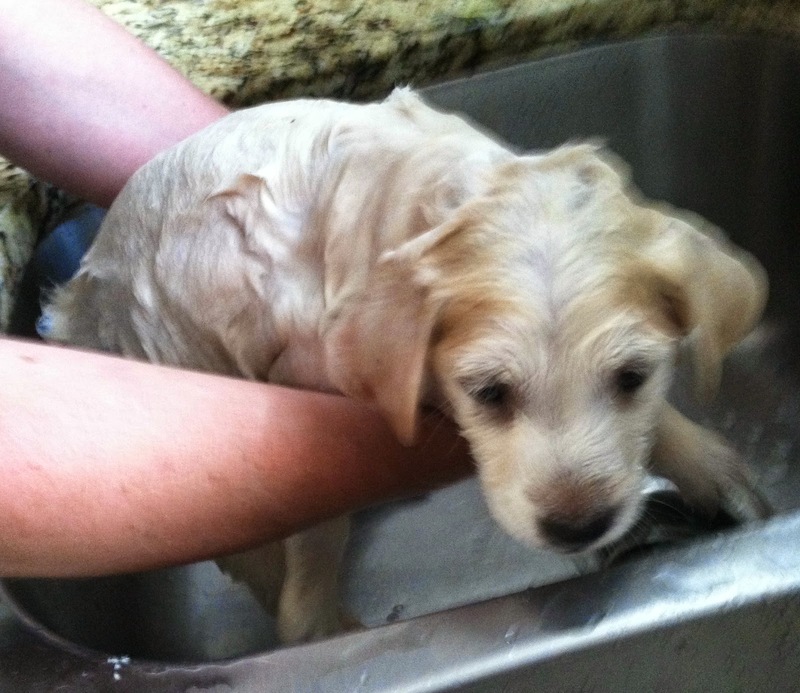 The rescue lady brings over her supplies, and she takes one puppy at a time to wash in my kitchen sink. She used a mix of water, Dawn dish soap and tea tree oil to clean them. Did I mention that these little loves were covered, and I mean covered, in fleas? Then she brings the washed puppy outside to us, and the flea picking commences. What do I mean? Well, each one of us had a cup of water with Dawn dish soap in it. We would take the wet, but now cleaner, puppy and start picking off it's fleas one by one and putting them in the soapy water. Apparently Dawn kills them which is why she uses it to wash them. We did this for hours . . . literally. We had one flea comb that the kids shared, and I had my nails. I know. Eeewww. Thankfully some friends' kids came over to help . . . I was happy to have all the hands I could get to love on and corral these little cuties. The playing and baths would wear them out so often they would look like this in my lap as I was flea picking . . .
Did I mention that when I went to pick them up, they didn't have foster homes lined up? I let the rescue group know that I was baby stepping my husband into this whole dog rescue thing and that I absolutely could NOT keep these puppies overnight. 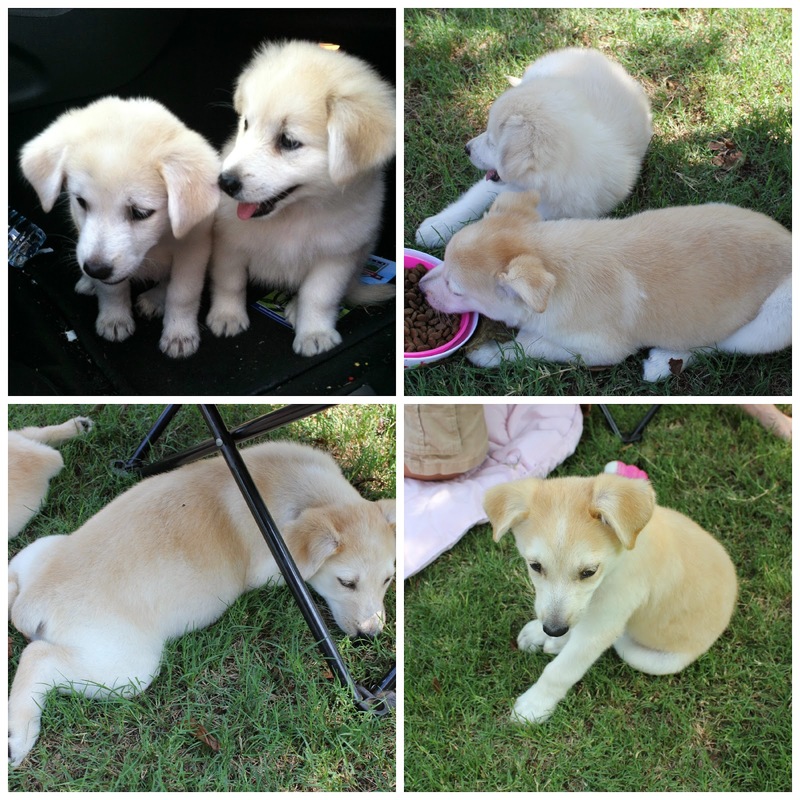 So in order to find foster homes, I put this whole puppy rescue adventure and LOTS of pictures on Facebook. And by the grace of God, it worked! By 9 p.m., all 7 of my puppy babies were safely off to foster homes. The kids and I were worn out. I focused so much on what had to be done that I forgot to eat and use the bathroom. Crazy, right? It was just such a busy day. After we washed them all and picked off as many fleas as we could, each puppy got their nails trimmed. They also got their first round of vaccines and a deworming treatment. And they were either fast asleep or running around like, well, puppies! Before the first one went off to it's foster home, I lined them all up for a final family photo . . . look at these angels. Here's the backstory on these babies . . . a rural fellow contacted a rescue group about taking these. He cared for them as best he could, but this fellow didn't have money to spend on vetting his dogs and definitely not these puppies. The dad was a dog he started feeding after a family moved away and left him. He obviously couldn't take care of them, but he held them for 2 weeks for the rescue group until I agreed to get them. He could have dropped them off at Animal Control a long time ago. He was kind enough to meet me and has called a few times to check on them. I don't judge this guy . . . he's doing the best he can and while these babies lived outside and didn't have vet care, they were well fed and super sweet. Just look at these cute pictures . . .
Of the 7 puppies, 6 of them were girls. Only one of them had a tail . . . the rest were born with the cutest little nubbins that wiggle when they are excited. One of the little girls was much fluffier than the others . . . she was the one with the tail. And only one little boy in the mix . . . he's in a foster to adopt home, and I'm crossing my fingers it works out. So that leaves 6 little girls that need loving homes. I feel very invested in the babies and won't feel good until they are all adopted. We have some great fosters that are sharing them on social media and once they get another round of vaccines, we will start taking them to adoption events. While I think my kids are super cute . . . it gets even better when they have puppies! And guess what happened less than 24 hours later? A family that took 2 puppies cracked and couldn't handle them anymore! 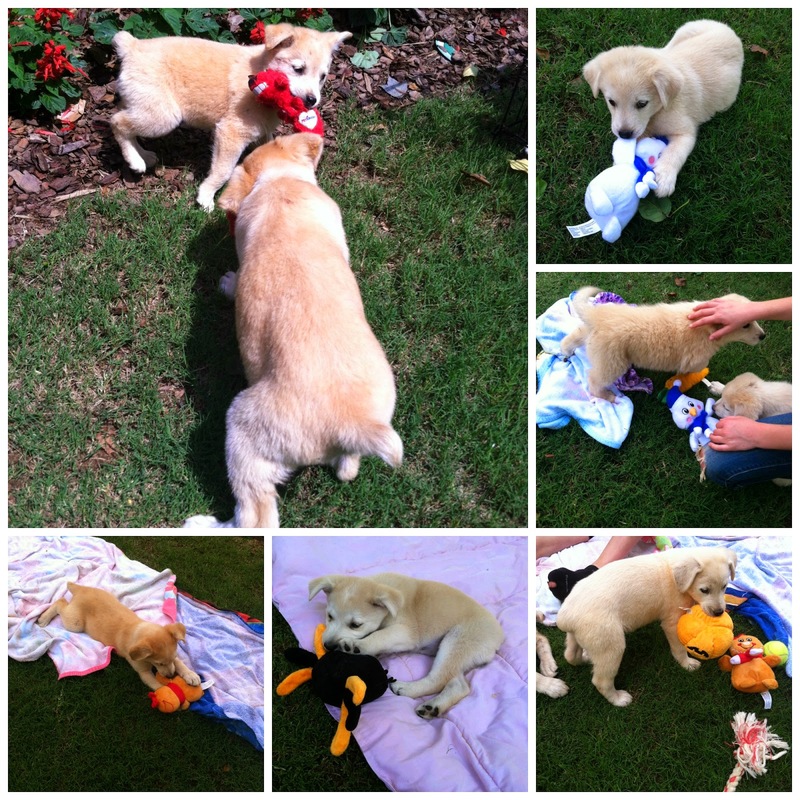 So they came back to "Fun Amy's House of Dogs" and stayed until I got them to their new foster home the next day. The kids and I slept in the basement with them and Abby and Petey joined us. Abby can be dog aggressive so I never thought I could foster. Since I didn't have any where else to take the puppies, I had to make it work. Getzy held Abby on the leash while I introduced her to the puppies. And it took a few minutes, but she came around. I even think she missed them when they were gone. Sad face. I know I did. I'm a firm believer in that every family should have a dog! The kids were sad when all the puppies were gone, but we talked a lot about how we saved them and now they are sleeping in warm homes. They all agreed . . . they would do it again! Check out this link on the 20 Essential Facts Dog Lovers Should Remember . . . if you don't at least tear up by the last one then your heart is made of stone! Now go adopt you a puppy! So the ever inspiring and totally funny Candra from Camo and Lipstick charged me with answering some fun facts about myself. Let's face it . . . this is a blog about moi so duh, let's talk some more about me! But first, can I tell you that Candra just finished her first half marathon. How awesome is that? And she's currently training and raising money for Children's Hospital at Dartmouth where her son spent some time when he was born. Running and raising money for children = amazing! A half marathon is on my bucket list, but I'm scared. Could someone just please sign me up for one and give me the date to be ready? I need to grow some lady balls and just go for it. Anyone in Atlanta want to do it with me? Ok . . . more about me! Here are the questions . . .
1. What's a nickname only your family calls you? Uh, not sure I really have one. Is that weird? My brother sometimes calls me sis-a-rooni. I guess Amy is short and easy enough. 2. What's a weird habit of yours? I absolutely have to flip my pillow "to the cold" side, or just the other side, when I'm ready to go to sleep. I wash my hands every time I walk into my house from being out somewhere . . . including your house. 3. Do you have any weird phobias? Snakes are my all time greatest phobia, but I don't think that's weird at all. I don't trust railings so I won't lean on them (unless they are like concrete) . . . I don't have a fear of heights, just falling, so railings are a deal breaker. I really don't like being in the ocean because things could touch my legs . . . dangerous things like seaweed. 4. What's a song you secretly love to blast and jam out to when you are alone? That's easy . . . Missy Elliot's "Get Ur Freak On!" Here you go . . . play it. I dare you. Aaannddd this is NOT the clean version so be mindful of bosses and children . . . I always buy the clean versions. And when I hear it, I do, in fact, get my freak on! Word. 5. What's one of your biggest pet peeves? I recently listed a few . . . please check them out HERE. I had to stop myself at ten. So to name a few more . . . people who look at the tissue after they blow their nose. OMG, why? I want to throw up in my mouth. Vague posters on social media. Seriously, spit it out or work it out yourself. Don't dangle a nugget of information without giving the full monty story. And don't be passive aggressive . . . say what you mean and mean what you say. And I will gladly pray for you . . . but I'm gonna need some details. Please and thank you. 6. What's one of your nervous habits? I used to twirl my hair but I don't much do that anymore. Honestly, here goes TMI, I get an upset stomach when I'm really nervous and like to know where the bathroom is, if you know what I mean. It should be noted here that I think nail biting could be one of the grossest nervous habits. Fingers in your mouth. Ewww. Biting on your actual nail? I die of the thought of that feeling between my teeth. Gag. 7. What side of the bed do you sleep on? If you are looking from the foot of the bed, then it's on the right . . . next to the door. Obviously if there is a burglar, Getzy wants them to get me first. Actually, I used to sleep on the other side, but after we had kids, I wanted to be able to get to the babies faster . . . clearly I'm the more dedicated parent. 8. What was your first stuffed animal and what was it's name? It wasn't an animal . . . it was a yellow, silky on both sides, blanket . . . named "Silky" because clearly I was a creative child. 9. 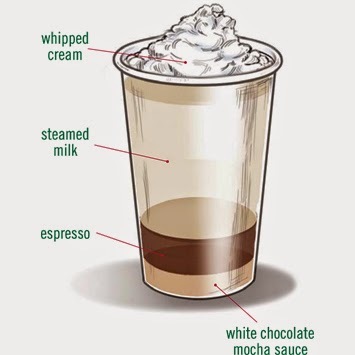 What's the drink you always order at Starbucks or Dunkin's? Tall Starbuck's White Chocolate Mocha . . . I think Dunkin' Donut's coffee tastes burnt (don't hate me Candra and all northerners), but I think Starbucks is a rip off so I tend to make my coffee at home. That and I think the cup size names at Starbucks are stupid . . . because I'm clearly unsophisticated and un-Italian. 10. Which way do you face in the shower? Forward unless I'm trying to get the soap out of my hair, then backwards directly under the spray. 11. Do you have any weird body skills? Do you mean something other than being able to achieve a sunburn while in the shade wearing 1,000+ SPF? Well, I can wave with my second toe (and not longer than the big toe because that is clearly a physical defect, hello Getzy) while not moving the other ones. Jealous? Oh, and I'm the lame cougar who can still tie a cherry stem in a knot with her tongue. Mad skillz I tell you. 12. What is your favorite comfort food that you know is bad for you but you eat it anyway? I feel shame in admitting it's biscuits in gravy. Or cheddar grits. Or homemade mac and cheese. Or . . . or . . . or . . . I could go on, but I'll stop. 13. What is a phrase or exclamation you always say? Geez, I have about a million . . . Shut Up (not mean, but in an exclamation sort of way)! True Story! I will cut you! Bam! Boom! Rock star! You're a professional. Word. 14. What do you wear when you go to sleep? In summer I wear running shorts and a tank top because I'm a hot sleeper. In the winter, I usually wear matching pants and long sleeve PJ sets. Never, ever do I wear a nightgown. 15. What did you use to wear that you thought was cool and now you realize it wasn't? 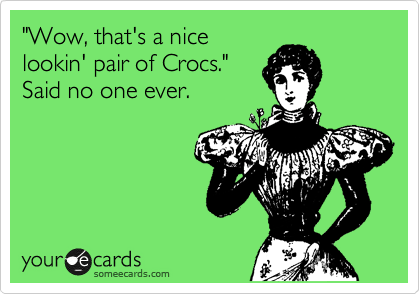 Don't make me mention the orange crocs again. How about mock turtlenecks? Those were ridiculous, but I loved them . . . I think I had a one with tiny snowmen on it. And because this is the gift that keeps on giving, I'm gonna tag some blogger friends who love to overshare like me! Kristen from See You in A Porridge . . . she's an Aussie living in Kentucky and gorgeous!! Tia from Hands On, Pants Off . . . freaking hysterical and does fabulous blog designs. Amy from The Diary of a Fat Mommy . . . love her long time. Amy from Crazy Wise Woman . . . the name says it all, and she always makes me laugh. I like to spoil my mom, but she definitely doesn't need more stuff. So to show her how much I love her, I take her on adventures. She enjoys them as much as I do, and she'll go anywhere with me . . . one of her best qualities. This visit we had to work around kid schedules so we couldn't go too far, but we did manage to see some cool stuff. Me and my Mama. . . and a moose photo bomb! So while this might be a bit boring for you, I love to be able to look back on here and see all the fun stuff we've done. I hope the kids remember these adventures fondly one day. You never know . . . you might just visit north Georgia. Our first adventure was to Blue Ridge, Georgia which is an adorable little town. We dragged the kids through several shops, but they were happily appeased with candy by the pound at Huck's General Store. 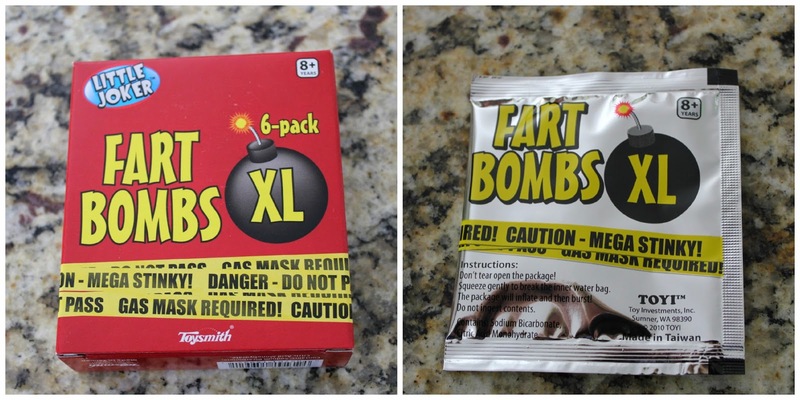 Oh, and Fart Bombs. Because kids are weird . . . and gross. Especially when you drop it on your friend's doorstep! Amanda loves Cupcake Wars, and we knew one of the winners had a shop in Blue Ridge, The Sweet Shoppe. That was a top priority for our visit. Honestly, it was a waste of $17 for 6 cupcakes. If I won't finish a cupcake, it HAS to be bad. Enough said. At least I got a cute picture! My future baker . . . she loves to make cupcakes! The piece de resistance for us in Blue Ridge was the Feed & Seed where they had fowl for sale. We are driving along when something catches my eye. Of course I pull over and who is advertising for the store? Wait for it . . . Tommy the Turkey! I die of love for him. Ok, if I'm honest, Tommy makes me a little sad. I hope he has a good life and is well taken care of and loved. And one final cute family photo because can you ever have too many pictures of kids with their grandma? I think not. 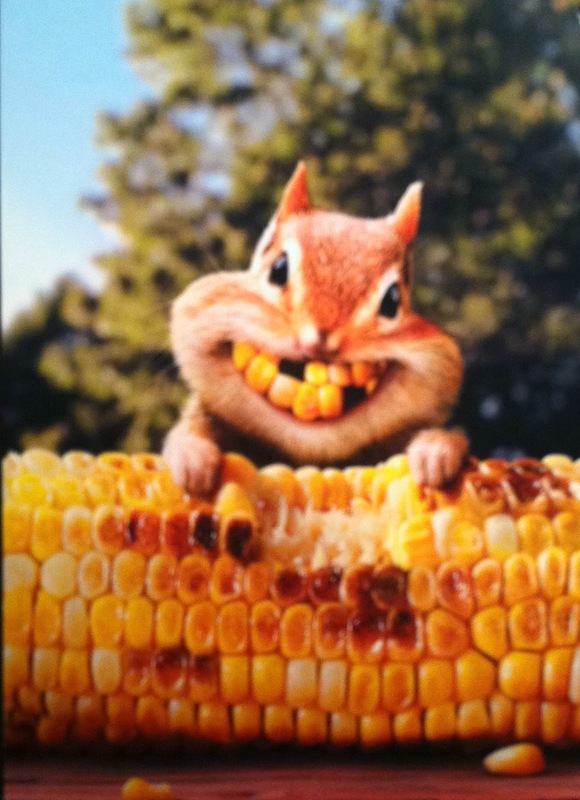 Smile kids . . . I know, this is so much fun! The next day we ventured up to Cartersville, Georgia for some 'ed-ju-ma-cation.' We brought along a friend of Kyle's . . . he's such a good boy that I'd keep him if his parents would let me. 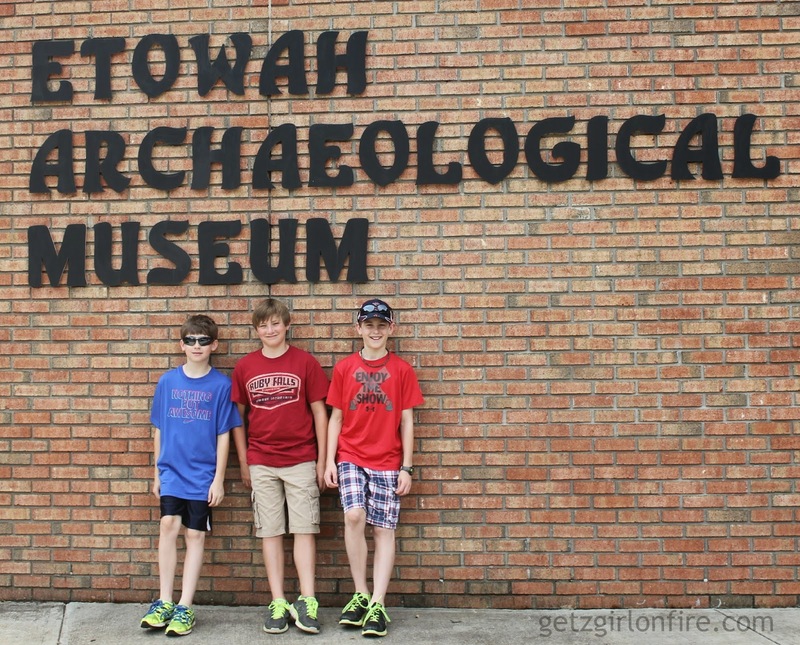 Our first stop was the Etowah Indian Mounds. I love this photo of the boys . 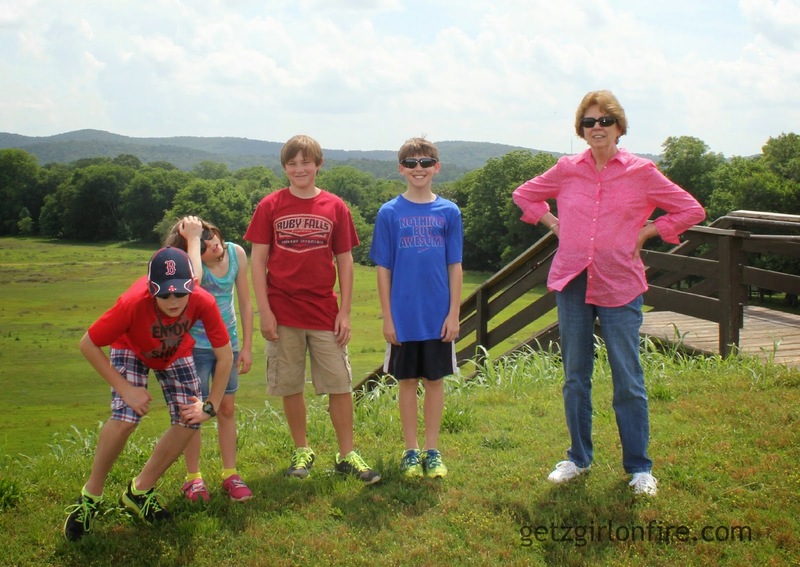 . .
We shimmied quickly through the museum and movie so the kids could run free. There are 3 mounds built by Native Americans available to climb, and the kids made it all about who could be the fastest one to the top. I can assure you that it wasn't me or my mom! Some of these goofballs are giving their "worn out" pose from all the steps . . .
Uhm, yep. Pretty much big grassy hills and hot weather . . . that's about all I got for you! It was lovely and peaceful . . . but moving on. After we stuffed ourselves for lunch, we visited the Roselawn Museum. The boys needed to visit a house on the National Historic Register for a merit badge, and mom and I love a historic home tour so boo-yah . . . two birds here. They don't make beautiful homes like this anymore . . . such attention to detail. We had a delightful tour guide named Kathleen . . . she was full of fun facts. I mentioned the scout thing, and she made sure to give us the full tour, much to the dismay of the boys. They were absolute angels for behaving on an HOUR LONG house tour. Yeah, that deserves capitals. The house was owned by Sam Jones, who was a minister in the late 1800's. He is compared to Billy Graham of today. The house is used for events so the kids were allowed to sit on the fancy furniture, the highlight of their visit. Our lovely tour guide . . . she quite liked the kids! So we finished the tour and had one more stop in Cartersville . . . the world's first Coca-Cola outdoor wall advertisement. It's been authenticated by Coca-Cola and restored to it's original look . . . it was buried below 25 layers of paint. You have to admit, that's pretty cool. Alas, that was the last of our adventures for this visit. Not the most exciting ever, but we were together. 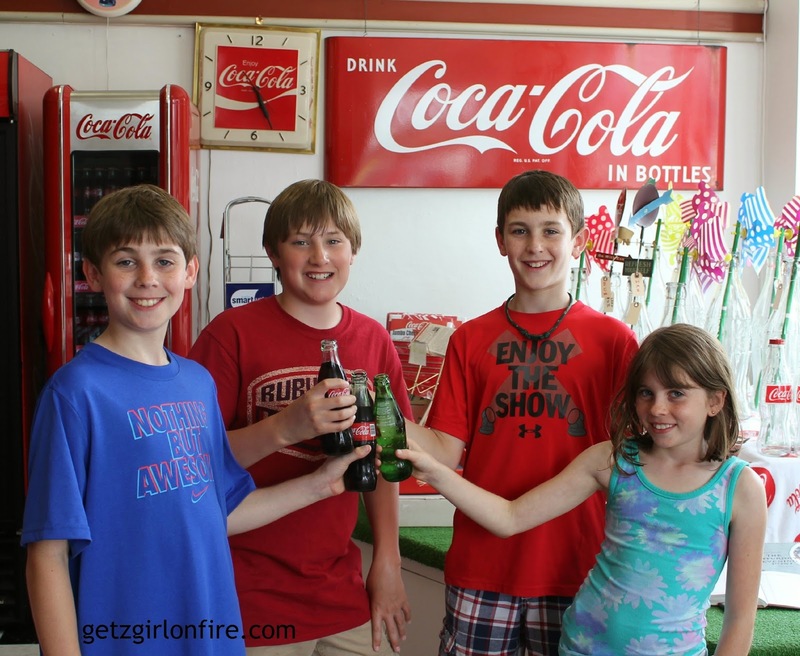 And the least I could do was buy these kids a cold glass bottled Co-Cola. Cheers! Can we go home now? Do you have any fun summer adventures planned? Please tell me I'm not the only freak that loves a random roadside attraction or historical site . . . anyone? Beuller?